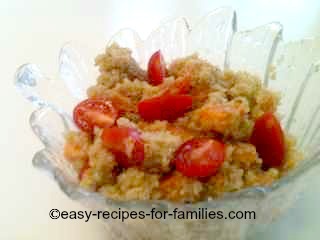 You'll love this delicious yet so easy quinoa recipe. It's a salad with roasted sweet potato and grape tomatoes. Sensational! 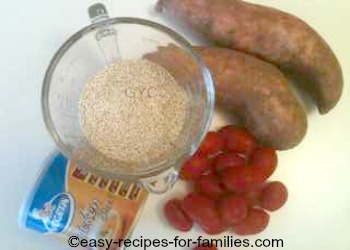 This recipe is made from our favorite food - yams or sweet potato, so sweet and yummy and tossed into the healthy super grain, Quinoa. I just love easy recipes just like this where it takes no effort at all to whip up a delicious healthy meal. Click on the button to learn how to cook the grains perfectly. The illustrated recipe tutorial will teach you how to produce quinoa that is not gluggy, a common problem. 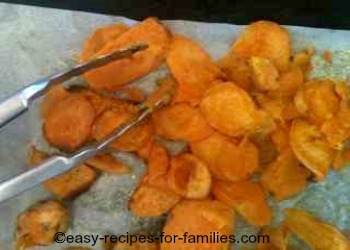 Click on the button to learn how to roast sweet potato for this recipe with quinoa. Do this while the quinoa's cooking. 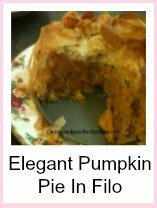 Click on the button to learn how to make this easy recipe scrumptious. 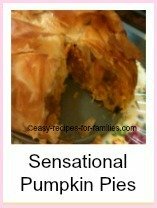 …this very delicious yet incredibly easy homemade pumpkin pie with feta cheese. 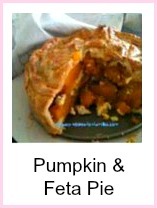 Tasty easy recipes really don't get any simpler. Enjoy! 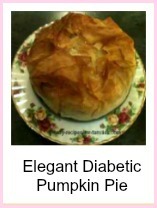 Makes sufficient for a 8 servings of sides. 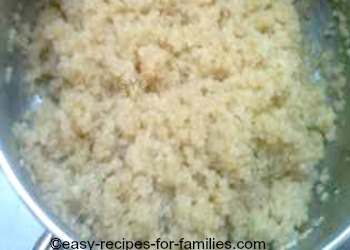 Enjoy this fabulous quinoa recipe. 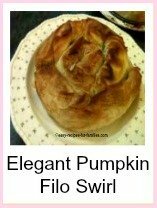 It's another from our collection of simple to make recipes and it really is just fabulous! 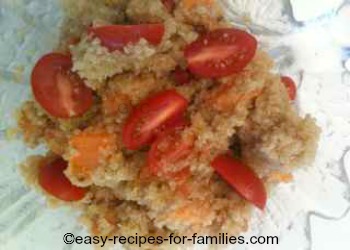 Leave Quinoa Recipe and discover hundreds of scrumptious easy recipes with photo instructions!